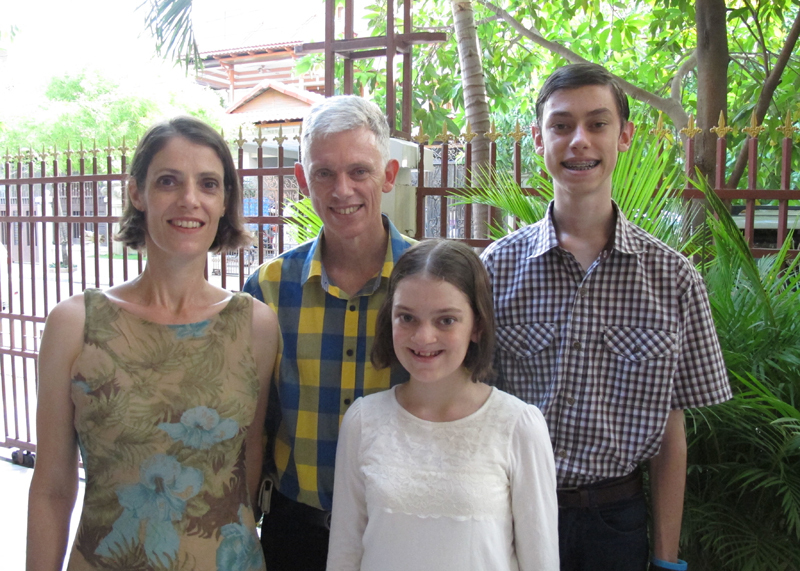 Dave and Leoni Painter teach at Phnom Penh Bible School, helping to train the next generation of leaders for the Cambodian Church. Leoni also works with students field ministry, as they are placed in local churches to gain ministry experience and organizes a student fellowship group (Mekong Fellowship) that meets monthly in their home. Dave is also developing PTC in Khmer, and teaches this course to a group of twenty students each week in their home, as well as working as a consultant to a local Christian publisher as they translate the New Bible Dictionary and other books into Khmer for pastors and theological students.